Dental Insider works exclusively with dentists to ensure that they are connected with the right patients. 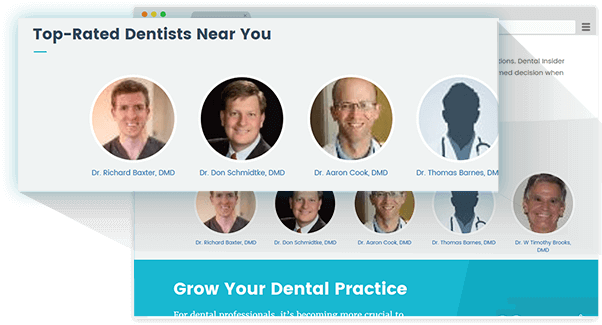 Thousands of patients use Dental Insider to find the right dentist. Dentists are given the opportunity to maximize exposure by upgrading to a Featured Listing. Patients searching for a provider first see the Featured Dentist listed at the top of the search page. Our customer care team will customize location and advertisement to maximize patient reach. Customer care specialists to help maximize exposure and close new patients.